Generally speaking gas prices are higher during months of travel, like the spring and summer when more families are travelling for spring break and summer vacations. But this year gas is predicted to be much cheaper than previous summers. So, pack up the car and hit the road this summer — gas prices are expected to dip to $2.35 a gallon from Memorial Day through Labor Day versus $3.58 per gallon the same time last year. The lower gas prices have had a great impact on our wallets. Many American drivers have been saving money, thanks to lower gas prices. Around 17% of drivers reported saving $20 to $30 every time they fill up versus the same period last year, according to a survey released last month by American Consumer Credit Counseling, a nonprofit financial advisory in Auburndale, Mass. 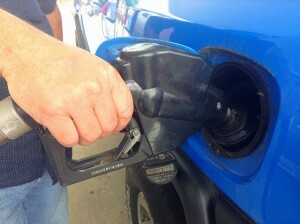 Find out more about the lower gas prices expected this summer at Market Watch. Should You Buy Property Together Before Marriage?